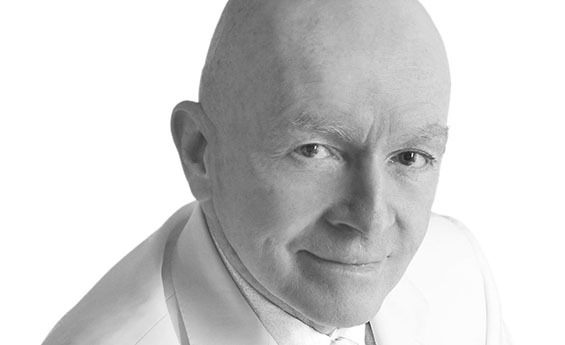 Veteran emerging markets investor Mark Mobius recently announced his fund management comeback after the briefest of retirements, launching his new venture, Mobius Capital Partners. Mobius built up an enviable track record in 26 years as lead manager of the Templeton Emerging Markets Trust (TEM), before stepping down as boss in October 2015 and handing over the reins to long-time colleague Carlos Hardenberg. However, Hardenberg lasted just over two years before himself resigning, in order to follow Mobius to set up an ESG-focused remit with fellow TEMIT alumni Greg Konieczny. Mobius’s track record on TEMIT is impressive. For investors who invested at inception of the trust in June 1989 and stuck with it until he stepped down, a £10,000 investment would have been turned into over £157,000, according to figures from Morningstar Direct. If you’d sold your holding in March 2013, your 10 grand would have been turned into a cool quarter of a million pounds. Clearly, those are some impressive numbers. But from March 2013 until September 2015, when Hardenberg took over, TEMIT actually underperformed the benchmark, losing 37% compared to the 19% loss for the MSCI Emerging Markets Index. We compared the latter part of Mobius’s tenure to the longest-running Morningstar rated passive fund, which is the Bronze Rated Vanguard Emerging Markets Stock Index. The fund was launched in August 2009. Between then and September 2015, TEMIT gained 22%. Conversely, the Vanguard offering returned 34%. Clearly, it was a tough time for emerging markets. The MSCI Emerging Markets Index saw three years of negative returns between 2013 and 2015. But through that time, TEMIT underperformed. Now, Mobius’s successor was Hardenberg and the pair will be continuing their collaboration as a team. Therefore, it’s worth broadening the comparison out until the latter handed over to current manager Chetan Sehgal. During this two-year tenure, TEMIT does beat the Vanguard fund, returning 156% between June 2009 and January 2018 compared to 135%. Between TEMIT’s inception and Hardenberg leaving, the trust turned a £10,000 investment into £331,000. When Hardenberg took over, broker Numis Securities suggested it may be worth considering switching from TEMIT to Genesis Emerging Markets (GSS) as it hadn’t been impressed with the underperformance seen at the tail end of Mobius’s tenure. However, a look at the figures over two and a half years show this to have been a wrong move for investors. While Genesis has done well, returning 73%, TEMIT has more than doubled investors’ cash over the same period with a return of 110%.